Manchester United boss Jose Mourinho had surprisingly made an offer for Marco Asensio while making enquiries for the services of Real Madrid’s Gareth Bale. Asensio, 21, has turned out to be the standout performer for Los Blancos this season with four goals scored in five appearances. According to Diario Gol, the Special One had placed a £50m bid on the table for the former Mallorca graduate, but the European champions were quick to turn down the advances. 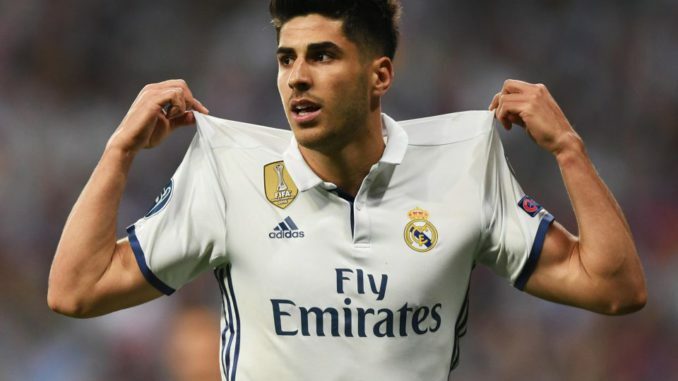 The youngster has a tantalising release clause of £74m in his present contract, but the Bernabeu outfit are planning to raise his overall valuation to around £552m with the prospect of a bumper wage rise. Asensio is currently deemed indispensable to Zinedine Zidane’s side, and the club are looking to develop him into the next ‘Galactico’ at the Bernabeu. Mourinho’s search for a new winger looks to have continued into deadline day with United linked with a whole host of players including Leicester City’s Riyad Mahrez, who is valued at around £50m. The Red Devils boss has already spent more than £140m of the £150m transfer kitty provided to him this summer, and any deal prior to the deadline would be wholly dependent on the club’s board.